It’s Tom and Jerry Time! Impress your guests! 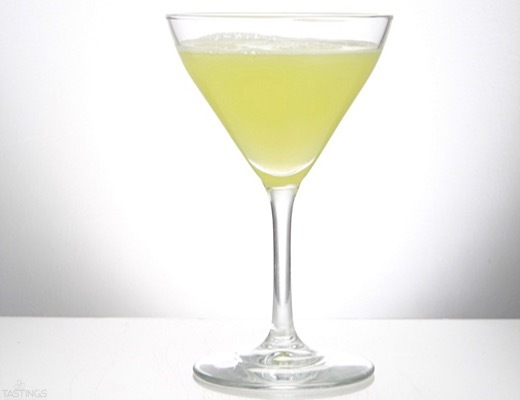 Learn the Art and Science of Creating and Pairing Savory Cocktails. Get ready for our presentation at The 2017 Chicago Cocktail Summit complete with samples of savory solutions and snacks! 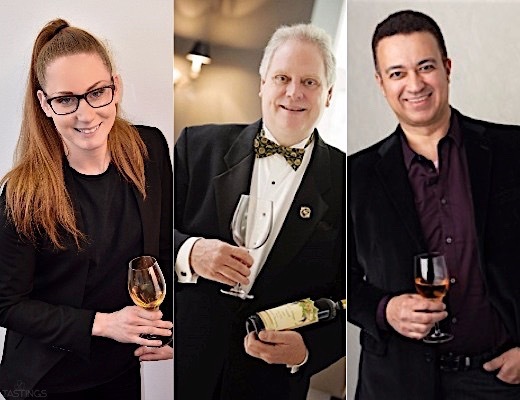 On Sunday April 2nd, join Tastings.com director Jerald O'Kennard, culinary heavyweight Robert Bansberg, and Tastings.com's own Laura Kruming for a presentation exploring how to pack a cocktail with sour, umami, salty, and sweet and pair them with your favorite meals. Just add Vienna Beef! It started as a crazy idea but developed into an elevated savory cocktail. 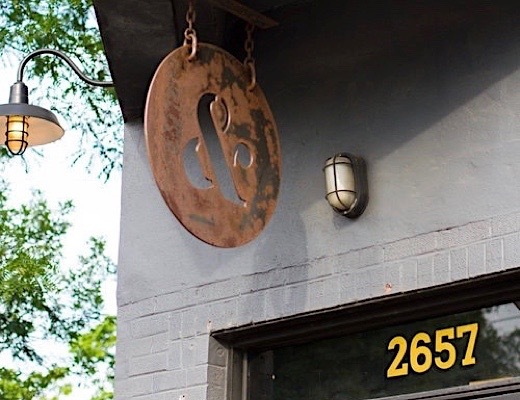 We took all the flavors of classic Chicago Dog toppings and packed them into a delicious cocktail. This will really wow your guests when you get the crew together to watch the game. 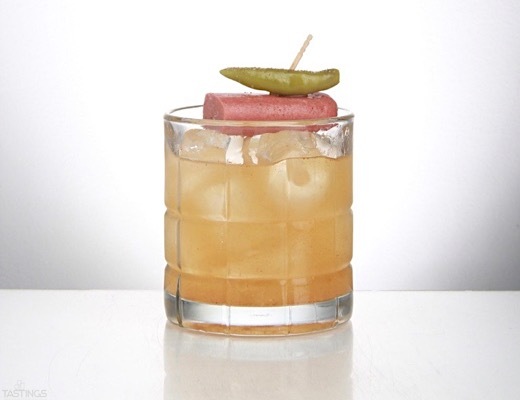 Shake up all ingredients and strain into an ice filled rocks glass, mist the Garlic juice over the top of the cocktail and garnish with a piece of Vienna Beef hot dog. Incorporate the savory and rustic flavors of duck rillettes into your next cocktail creation! This recipe just begs for a food pairing so serve it with a rich meal at your next dinner party! Stir all ingredients to chill and dilute. 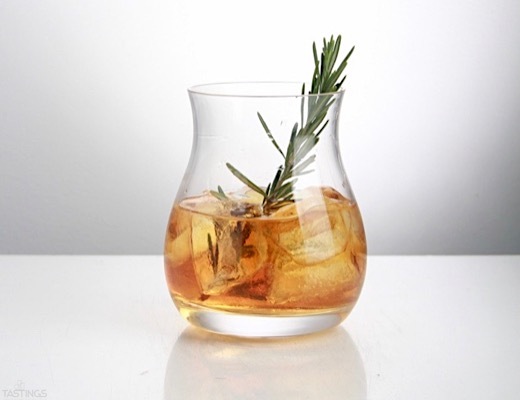 Strain into a rocks glass and garnish with a rosemary sprig. Salt is a simple ingredient you can use to bump up the savory factor in a cocktail. Try adding salt to your cocktail next time you shake things up at home. Discover how it transforms your perception of sweetness and refreshment. Shake up all ingredients and strain into a cocktail glass. Immediately following 'The Art and Science of Creating and Pairing Savory Cocktails" seminar at the Chicago Cocktail Summit, join Jerald O'Kennard, Robert Bansberg, and Laura Kruming from TASTINGS.com for a paired dinner experience at Longman and Eagle. Enjoy principles from their talk in practice with a four-course meal from Chef Joshua Mutchnick served with paired cocktails from Beverage Director Chad Hauge and a welcome cocktail courtesy of dinner sponsor Winebow and Tastings.com. Buy tickets here before they sell out! The Slurp® is our occasional blog. When something interesting happens in our tasting room or the world of food and drinks, we give you a Slurp.